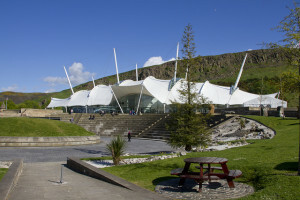 The Scottish VMware User Group (VMUG) was held this November at Dynamic Earth in Edinburgh. It was a great location, with floor to ceiling windows giving lots of natural light and just 15 minutes walk from the central train station. - unmap - to free up space after storage vmotions and deletions, can be run on some storage arrays with no performance impact (check with the manufacturer how it behaves with your storage - I went back to the office and freed up 1TB of space). **- **There is less talk about building an internal private cloud to compete with Amazon and Azure (have a read over at Simon Wardley’s blog post ‘What’s wrong with my private cloud …’). **- **There isn’t enough talk (yet) on utilising the public cloud. - VMware VSAN is getting better and better with every release (Overview of 6.1), and has a compelling use case for ROBO deployments, and in harsh environments where solid state storage is preferable to spinning disk. **- Even with RAM caching, a [PernixData** ](http://pernixdata.com/)deployment can be made even faster by swapping out the internal SSD layer with faster storage. **- [IGEL**](https://www.igel.com/) has the best thin client management console I’ve seen to date. **- A reminder that Latency & Throughput is what ultimately matters when it comes to storage I**nput / Ouput performance. **- **An experienced (ex) user of Puppet in the audience at one session raved about how Ansible was better (summary of differences). The next Scottish VMUG will be in April 2016.